Consider a hybrid car while it goes beyond ecology or consumption. It is true that most think of such a car and the first thing that comes to mind is a Toyota Prius, a model with much ecological charm, but we must recognize bores anyone with a little passion in his veins. Now, as you remove the image of the Prius I just told you to put on your head (that, if you had not thought of it first in a Lexus), I remind you that in the market there are cars like the two are compared here that contribute to ecology certain dose of life. 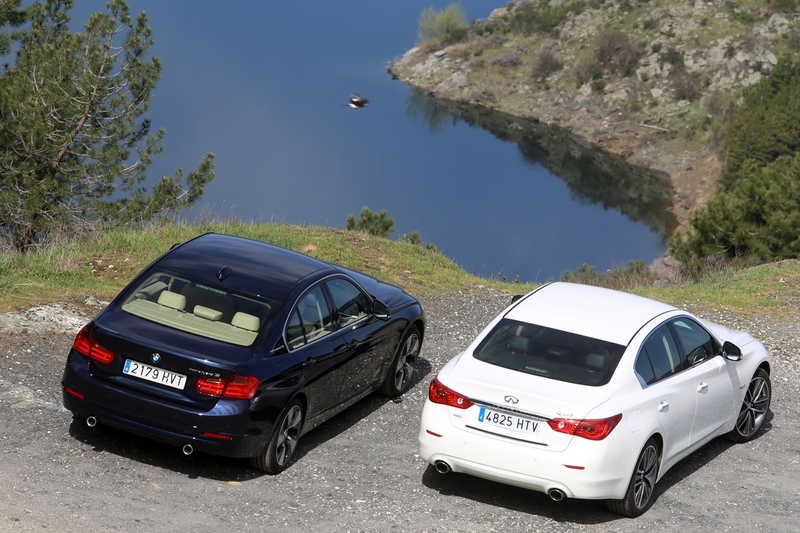 He BMW 3 Series ActiveHybrid and the Infiniti Q50 Hybrid not only boring but also satisfied; they have a prestacional very good level and a logical consumption for the times, where having a car petrol over 300 hp and similar benefits appear to be an unnecessary luxury. BMW began his career in the world of hybrids in the Series 3 and 5 with a technology designed to be precisely the opposite of a car like the Prius. Do not neglect the good feelings from sportsmanship to sound, and hybridizing prefer to start the powerful 35i and offer a powerful 340 hp sedan rather than a car which llegará- ecologically perfect but boring. 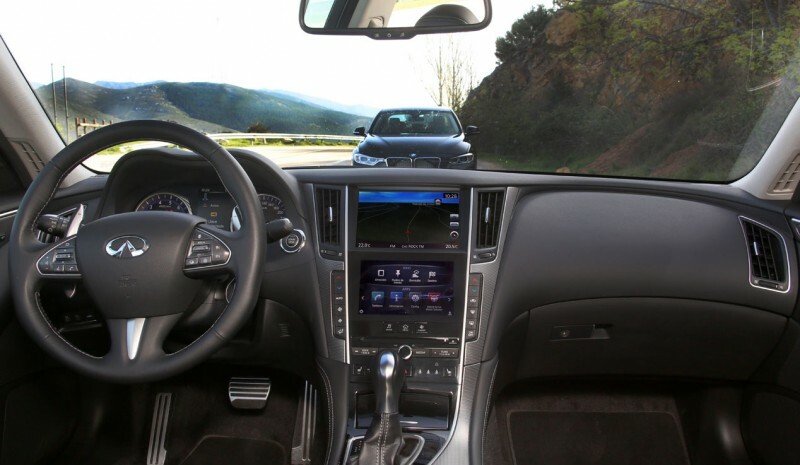 Infiniti does the same, also providing a wider range than even features AWD version, like the Q50 of this comparative, or Curious cable management system without "physical connection" (Except for safety redundancy) between the steering wheel and steering. The aim of hybridization is to lower CO2 emissions and therefore consumption. Both get it fully, although they are cars in which average spending is still sensitive to driving, especially in the BMW. reach 100 km / h in less than 6 seconds, kilometer hovering around 25 seconds and achieve a average consumption (Conducting quiet, clear) 7.3 and 8.2 liters per 100 km I think a real feat which suggests how much he has advanced the automotive world Remember the last car had to gasoline consumption was half like that? I am convinced that it was not half as fast or powerful than either of these two. 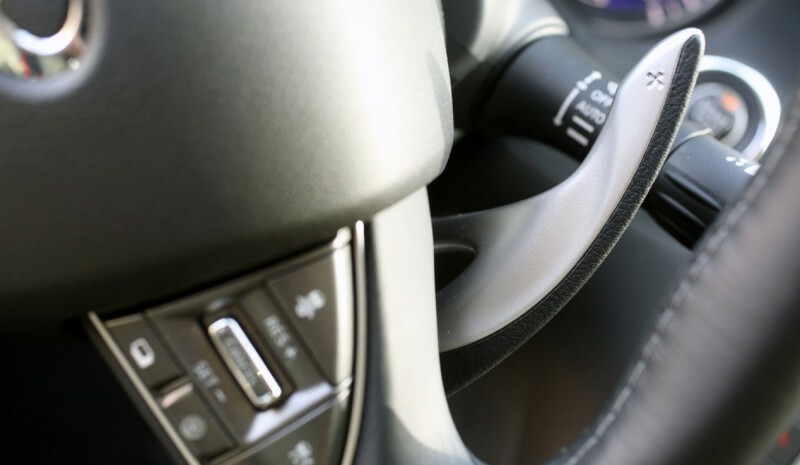 If you concentrate and looking for greater efficiency when driving, redeeming the electrical part, you can download both the average expenditure to stay near 4 or 5 liters, but if you give to harness that power to gain benefits, you will see consumption figures close to 15 liters; you have to find the middle ground, that you see that is very good at both. In both cases electric propulsion to move the car serves only as an electric or gasoline engine support. The difference is that in the BMW you can not move one hundred percent power more than 80 km / h and the Infiniti itself, can keep cruises 120 km / h for several kilometers. As you see running a system and another appreciate that Infiniti uses electric propulsion longer, however, consumes additional liter. The answer to this we have three important points, one is the weight, another the higher friction losses of AWD Japanese and finally thermodynamic benefits of six-cylinder BMW, that already in conventional versions shown as one of the best engines on the market in their relationship between performance and consumption. The two cars are very heavy, but I the Infiniti is 100 kg weighing 2 tons; too average efficiency seeking saloon. On going are welcome on the walk. At BMW It was searched beautiful sound escapes when the thermal engine is running. This is all well and nice, but the whole remains refinement since that habitual silence march is lost in hybrids; does not see it as a defect but rather as a feature; I personally liked me. What I like least is that and is the first hybrid drive in which when starting the internal combustion engine transmission gives you a little bump, as if too thermocouple, who has it. For these things Infiniti is "more Prius". Everything happens smoothly or refining and until thoroughly accelerate not discover the gasoline engine. The dynamic behavior of the two has not convinced me. It's not bad but I think It is not up to what is expected of these models. He BMW 3 Series ActiveHybrid He runs much but then feels very heavy and excess body sways, as I have ever seen done in a BMW. This is seen even when not doing sport riding. If you normally nothing happens, but it's true that it does not need the 306 hp of the thermal part and its high level prestacional and if a combination you a more consumer hybrid. Case Infiniti Q50 is different. Frame it I liked it and I see it despite the weight, more balanced than his rival. Nevertheless the direction "by Wire" tarnishes assembly. 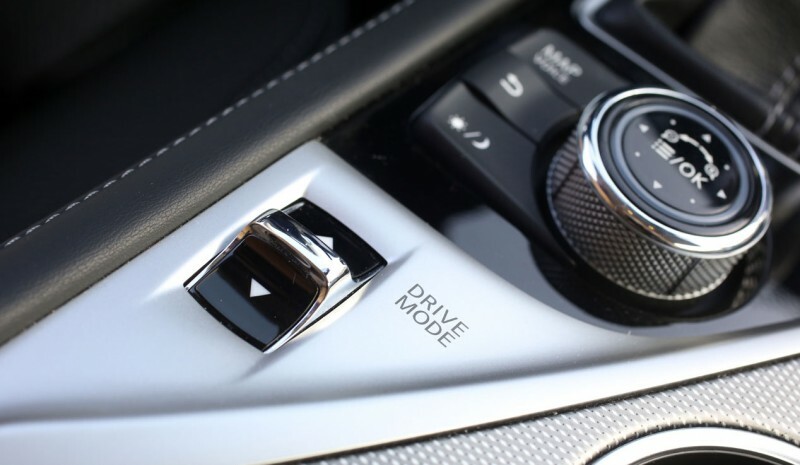 Like its rival, if you're quiet, which in the end is the way to go- is nice and safe, but if you put the sport mode and you get to go fast you have to fight with an address that thinks for itself and that sometimes is not good. 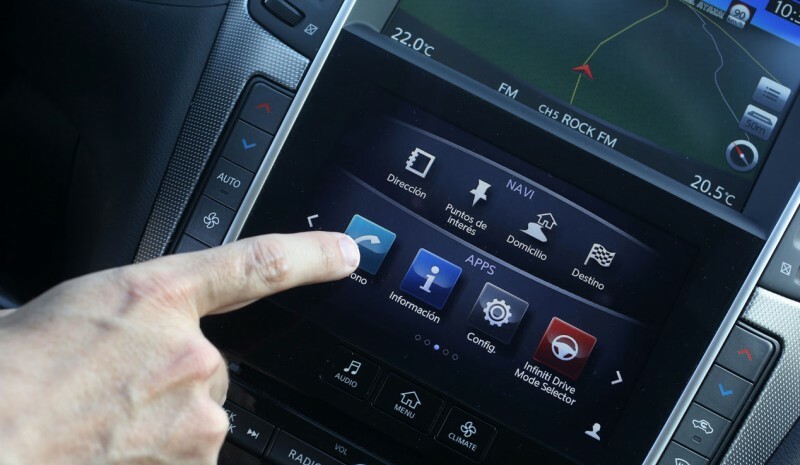 This system is the future, but this car You pay the toll to be novelty. 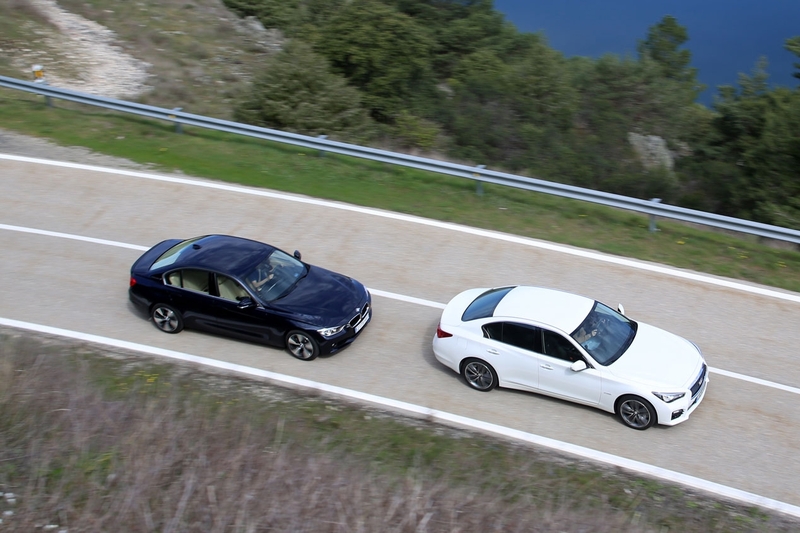 Are two good cars, but not the best versions of their respective ranges. The BMW with less body roll and would be perfect with a conventional steering Infiniti puts on the ropes traditional German sedans with which it competes. The first problem should be solved based options M, but goodbye to the comfort, the latter only has a solution if you opt for Diesel Q50. Honda Civic Type R, is de snelste GTI?